Holden pays homage to an Australian icon at the 2006 Melbourne International Motor Show with a specially customised Monaro, while the T2X concept, with its compact SUV style and bold coupe lines, point to possible future design cues. Similarly, the S3X SUV concept and retro Efijy coupe will stand side by side, reflecting Holden’s local history and heritage and globally recognised design and technology. This crowd-pleasing collection is supported by a comprehensive line-up of passenger and light commercial vehicles including the debut of the Astra diesel, a first for Holden customers, a new Barina sedan (from China) and Holden’s 2006 VZ model range featuring new 6.0L V8 alloy engines. 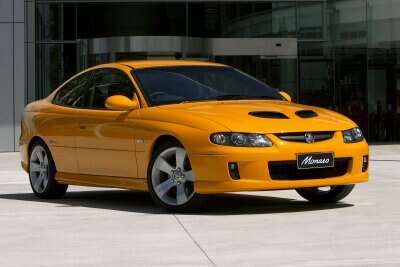 While welcoming the new Astra, Holden will also be farewelling the last of the current generation Monaro coupe. 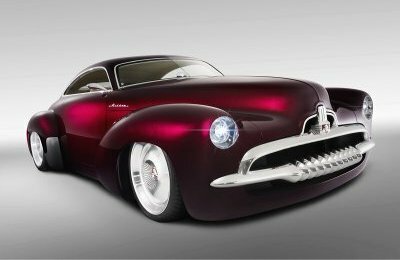 Holden will sell this car, with all proceeds donated to The Leukaemia Foundation, a long-term partner of Holden. The first bid lodged for the auctioning process was $100,000. The “Torque” custom paint of the coupe is an orange-yellow with fine metallic highlight, developed as an interpretation of the classic colours for which the original late 1960s Monaro coupes were famous. A Very Last Monaro project team made various changes to reflect the car’s unique status including special embossed wheels, leather seats and colour accents. The architect of the new generation Monaro, former Holden Design Director Mike Simcoe, was recognised through the use of Data Dot technology which applied microscopic copies of Simcoe’s signature and the ISOVIN number to the vehicle’s underbody, panels and major components. Holden also unveils its second sports utility concept to Australian audiences in just six months – the striking T2X sports coupe. 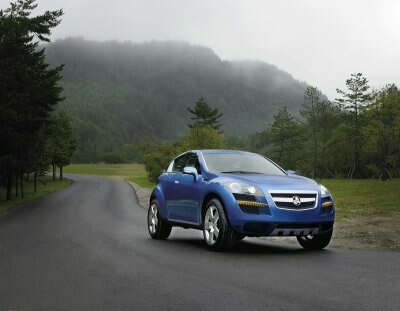 Led by former Holden senior designer Max Wolff, T2X combines a compact sport utility body style with dynamic coupe lines. Wolff directed the T2X design team in his role as Deputy Director Advanced Design at GMDAT in South Korea . 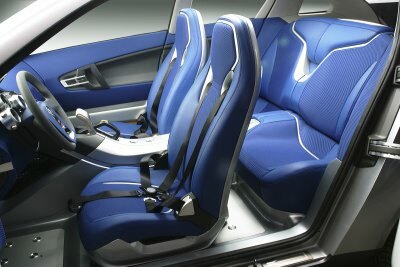 The vehicle had its global reveal at last year’s Seoul Motor Show. T2X is based on the same architecture as the S3X concept revealed in Sydney in October 2005. The S3X is also on display in Melbourne. The S3X provides strong hints on new production SUVs to be introduced by Holden later this year. However, there are no current plans to direct T2X to production like its five and seven-seater sibling. Holden’s Astra diesel five-door hatch will deliver outstanding performance and improved fuel economy in the small passenger car market. Amongst others, it will take on the leaders of small car diesel marketing, the Peugeot 307 and Volkswagen Golf. The new Astra turbo diesels will feature a 1.9 litre engine already calibrated to meet emission requirements introduced on 1st January. The standard Astra diesel, producing 110 kilowatts of peak power at 4,000 rpm and 320Nm of peak torque at 2,000 rpm. It will be mated to a six-speed manual with an optional six-speed automatic transmission available, with the engine producing 88 kilowatts of peak power at 3,500 rpm and 280Nm of peak torque at 2,000 rpm. 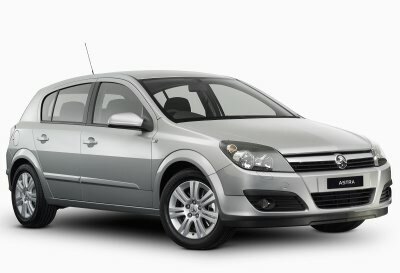 Astra diesel will also be highly specified, with features including ESP, ABS, driver, front passenger and front side impact airbags, full size curtain airbags, 16-inch alloy wheels, cruise control, six-stack CD player and trip computer. A range of Holden’s passenger and LCV V8’s will be on display including the VZ Commodore SS, Caprice and Ute SS, all featuring the new 6.0-litre alloy engine which delivers 260kW of peak power at 5,600 rpm and 510 Nm of peak torque at 4,400 rpm. The new engine, codenamed L76, enables torque delivery to be significantly increased at lower revs offering improved acceleration, low speed engine response and improved ease of towing than the previous 5.7-litre engine. 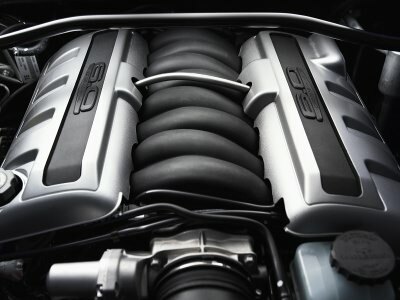 The engine is a member of GM’s fourth generation small block V8 family. The 2006 Holden range is the first application of L76 within General Motors around the world. Commodore SS sedan and SS Ute receive front and rear performance brakes standard whilst SS Crewman adopts performance front brakes. The front rotor is 320mm x 32mm vented compared with 296mm x 28mm vented on the previous standard system. The rear rotor is 286mm x 18mm vented compared with 286mm x 16mm solid. The extra performance will be managed with better breathing sports exhaust and significant improvements to automatic transmission characteristics. From an environmental perspective, all new variants meet strict ADR79/01 emission regulations which came into effect on 1st January 2006. Holden now offers an unprecedented range of small cars, with Astra CDTi diesel and the Barina sedan bringing the offering to 20 variants. 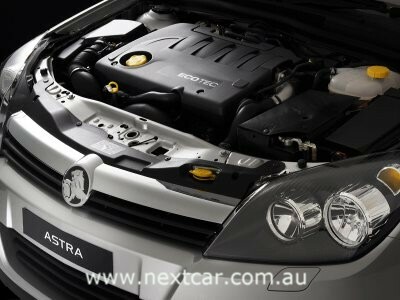 The Astra diesel and Barina sedan will be on display, as well as the three and five door Barinas. Holden’s sharp pricing makes the new Barinas some of the most affordable and powerful cars in their category, starting at $12,999 (RRP). They deliver an array of standard features such as driver and front passenger airbags, air conditioning, power steering, MP3-compatible sound system with CD player and steering wheel-mounted audio controls. Also on display, the sporty new three-door Astra coupe and compact Astra wagon will join the AH Astra five-door hatch, which has wowed buyers since making its Australian debut in late 2004. The stand-out Astra coupe has a design character all of its own with its sleek silhouette and lowered stance. The flexible Astra wagon offers roomy accommodation for passengers and cargo, demonstrating the benefits of a longer wheelbase and clever packaging. Similarly the Viva hatch, sedan and wagon variants complement the small car line-up. Viva is the only nameplate in its category offering sedan, hatch and wagon variants under $20,000 (RRP). It also delivers a rare feature in the segment by providing four airbags as standard equipment across all three body styles. They feature economical 1.8-litre double overhead cam engines and have been tailored for Australian driving conditions by Holden engineers. Last but by no means least the Tigra Cabriolet completes the line-up. The sporty two-seater roadster is the first hardtop convertible to represent the Holden brand and was crowned “Cabrio of the Year 2004” at the Geneva Motor Show. The versatile European import changes from coupe to open-top in just 18 seconds at the touch of a button as its retractable steel roof slips neatly into the boot. The Tigra is joined by big sister, the stylish and segment-stealing Astra Convertible, a much-loved favourite of Australian convertible enthusiasts. The Holden stand will also feature the Commodore SV6, Adventra SX6, the new Rodeo V6 and the Statesmen International - all boasting the Alloytec V6engine. The Statesmen International in its 2006 incarnation features a sportier look with standard larger 17-inch five-spoke alloy wheels (steel spare), factory fitted electric sunroof, distinctive grille, sports profile leather-wrapped steering wheel, black bezel fog and headlamps and boot lid spoiler. The 2006 Statesman International is available with the Alloytec high output V6 engine (on display) and optional high performance 260 kW 6.0L V8 alloy engine. The 2006 Melbourne Motor Show is at the Melbourne Exhibition Centre, Southbank, and runs from 9th-19th March.